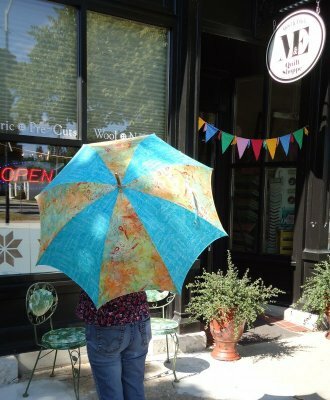 Make an Umbrella to Keep you Dry from all this Rain! 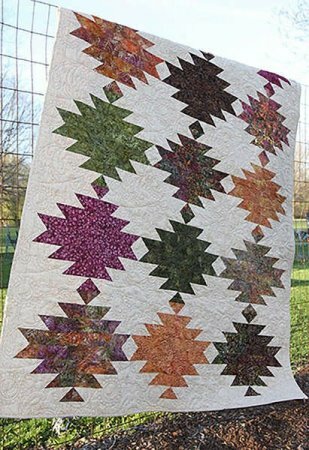 Always wanted to learn to make a quilt. Here's the class for you. Day or Evening Class available. 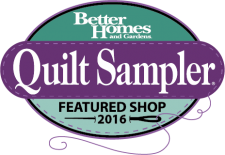 Start Next Week and learn all the skills needed to get you started into the wonderful world of quilting. 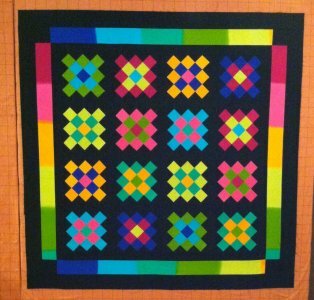 By the end of the 3-session class you will have a completed quilt. You choose the colors you love most. 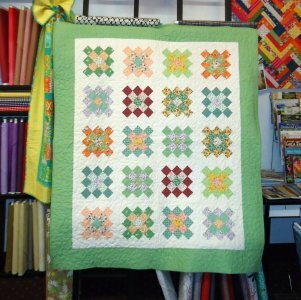 Did you know that you don't have to make the Amish Granny Square Quilt in the traditional Amish colors. You can make it with any fabric you like. 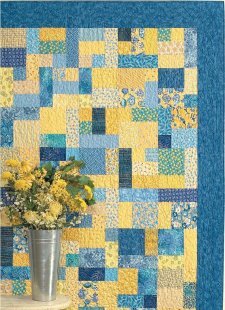 There are still spots available in the class so sign up today to learn a quick and easy way to make this traditional block quilt. We hope you will join us for one of these fun classes. We keep our classes small so you get the attention you deserve. Call us today to find out more.